Last night I had a thought. One of those startling thoughts that begins innocently enough, like the faint vibrations before an earthquake that rattles you to the core. A reality check, you could say, in the truest sense of the term, though this phrase doesn't carry the weight that I felt last night. Perhaps an epiphany is a better way to describe it. I was tucking Connor into bed, and though he's 9 he still likes me to lay down next to him while he's falling asleep. 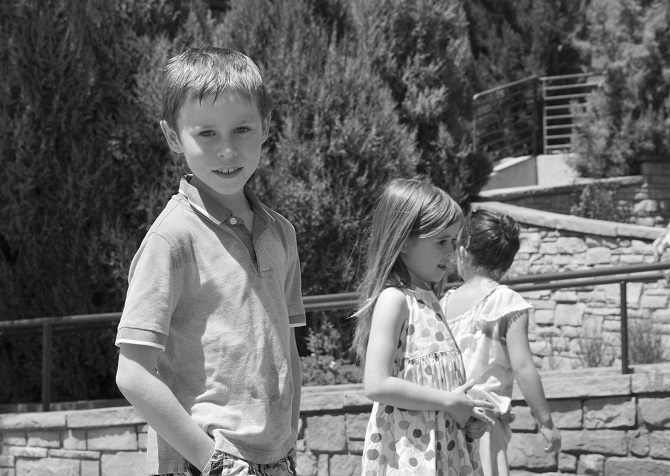 We talk and talk, and if you know Connor, you know what a chatterbox he can be. We discuss all matters of importance - from what's going on in his Minecraft world, to the bug he found & caught crawling up a tree at school (catch and release), to the science test tomorrow for which he forgot to study (but he's sure he'll do fine). He babbles on and on, while I listen, until he finally drifts off to sleep, sometimes mid-sentence. I treasure this time, it's part of our routine. But don't get me wrong - there are days when I'm behind on work or have a sink-full of dishes in the kitchen and laundry to fold on the couch, and all I can see is the minute hand ticking the time away. Last night was one such night. Dinner ran late, dessert even later, pushing bedtime closer and closer to midnight. I had a 6 a.m. video conference scheduled for this morning, and all I wanted to do was crawl into bed with a cup of tea and a book. Still, the question came, soft as the blankets I tucked in around him, "Mom, can you rest with me...?" Immediately my to-do list scrolled before me like the never-ending credits of a too long movie. There were hundreds of reasons I could have said, "Not tonight." But something stopped me. Instead I said, "For just a minute." And so I settled down next to him, resting back on the pillows in the quiet, blue glow of the nightlight by his bed, just as I've done every night for the past nine years. He began talking and I began thinking. Then suddenly, within the jumble of thoughts that passed through my head that night, came the one thought, small and sly like a fox, that started it all. Nine years?! How fast the time has gone! Like the blink of an eye! Wasn't it yesterday that I cradled him in my arms, pacing the hospital floor when he was brand new? Didn't we just celebrate his first steps; didn't we just take the training wheels off his bike? But this thought, startling as it was at the time, was only a faint tremor that signaled the earthquake that came next. You see, if nine years can flash by like a mere grain of sand in the hourglass of life, how much faster will the next nine go? My breath caught in my chest with such intensity at the thought that I must have flinched or gasped because Connor paused long enough to ask, "Mom, are you okay?" I realized last night that nine is the pivotal age. It marks the exact mid-point of childhood. Nine years past, nine more to go. In nine years he'll be 18, graduating high school, preparing for college, shaving, working, driving, dating. In nine years he'll no longer be a child, but legally an adult, unrecognizable to these eyes that see him still in diapers with a blankie and a bottle. Nine years... speeding by like a comet just outside my atmosphere. Look hard enough and I might see its tail, blink and I'll miss it completely. Nine. That's it. And to think I almost said, "Not tonight." I suppose all parents have this thought at one point or another, but last night I couldn't sleep. I stared at the ceiling and started to think this growing-up stuff is too much to take. I look at him as he eats, stealing glances from across the table so as to not let on that I'm watching. How his appetite has grown! He eats the slice of lasagna I put on his plate with relish, then another and thirds. How have I become so blind to these things? 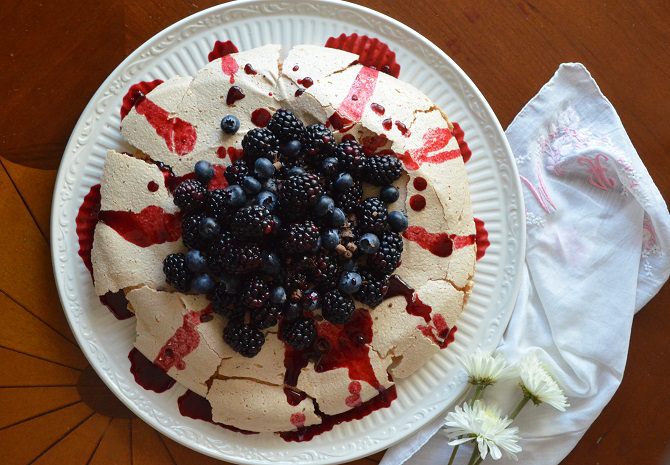 I make a Blackberry Pavlova for dessert. It's one of his favorites. When I set it on the table I steal one more sideways glance. There it is!! Finally I see the child inside him as his eyes light up in anticipation. It's the same look I remember when we used to pass the salt water taffy stand in the market when he was three, when I made dirt cake with gummy worms for his fifth birthday, when we roasted marshmallows on the grill last Fourth of July. There's the boy I remember! Still there. Maybe hiding in a bigger body, but still there. And then, only then, I allow myself the luxury of imagining the future. I envision him sitting at the table, just home from college, nine short years from now. Tall and smart, with a deep voice and a five o'clock shadow. I set dessert on the table. 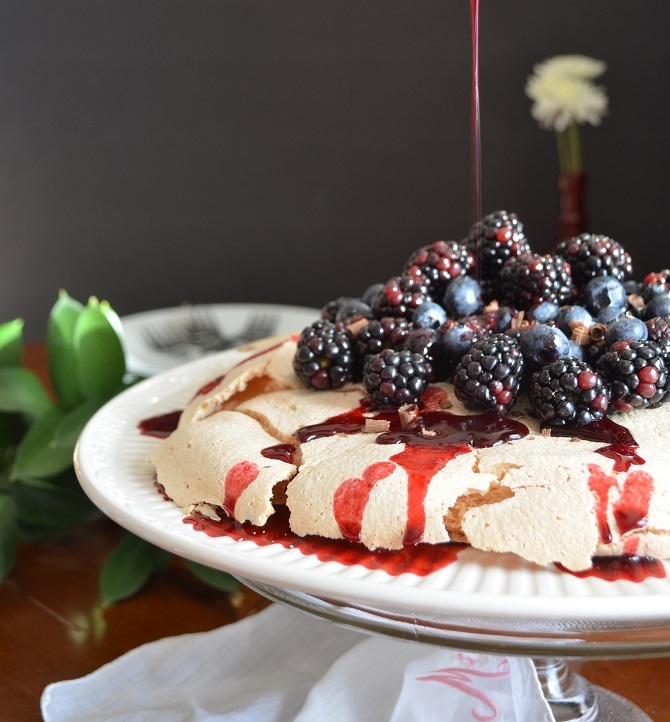 It's something not too different from the one I served tonight, a Pavlova perhaps (it's still his favorite) with fresh berries, drizzled with a sweet, sticky syrup. I glance over at him, so different in a grown-up's body. There it is again! Yes, I'm sure I saw it! 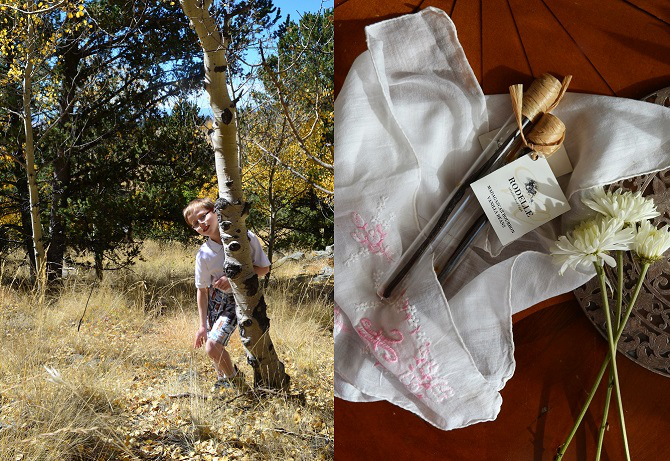 That same magical twinkle of a little boy's eye in the presence of something sweet to eat. I guess some things never change... thank goodness! Maybe this growing-up stuff isn't so bad after all. Preheat the over to 350 F (175 C) and line a sheet pan with parchment paper. Scrape the beans from the vanilla pod and mix with the sugar. Set the sugar aside and reserve the pod to use in the syrup. Whip the egg whites, cream of tarter and salt until soft peaks form. With the mixer running, add in the sugar slowly, one spoonful at a time until all the sugar is incorporated. Continue beating until the egg whites are very stiff and glossy. Fold in the vinegar. Dollop the entire mixture onto the parchment-lined sheet pan and smooth into a circular shape. Place in the preheated oven and immediately turn the heat to 300 F (150 C). Bake for an hour and 15 minutes, until firm and hollow. Turn the oven off and crack the door. Allow the Pavlova to cool in the oven for at least 30 minutes. Remove from the oven and cool completely. Meanwhile, sort through the blackberries. Reserve the most beautiful ones to garnish the Pavlova and measure out a cup of the bruised or damaged blackberries to be used in the syrup. 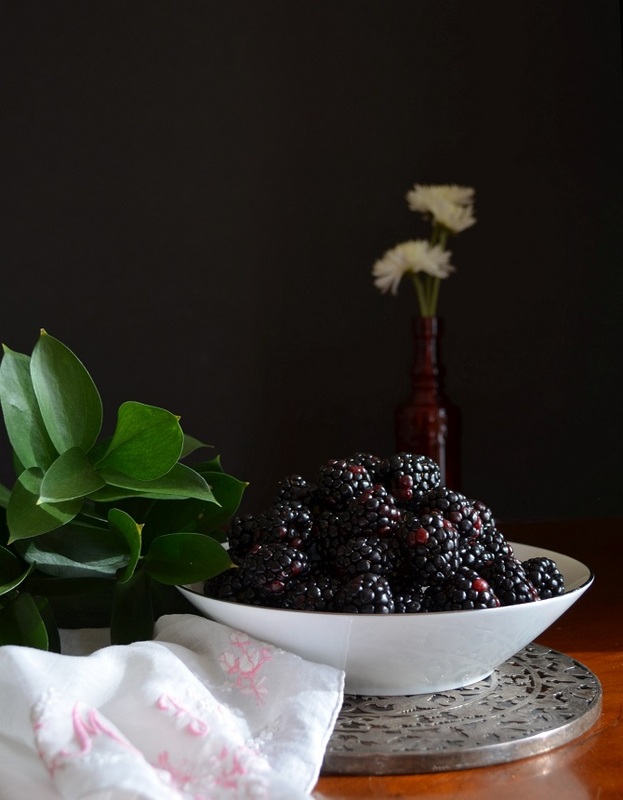 Place these blackberries in a small sauce pan. Add the water, honey, vanilla bean and lemon juice and bring to a simmer. Reduce heat & simmer 20 min, or until the fruit is falling apart & the liquid has reduced by about half. Strain through a fine mesh sieve (you should have about 1/4 cup syrup). Refrigerate until ready to use. When ready to serve place the Pavlova on a serving dish. Pile the fresh blackberries on top. 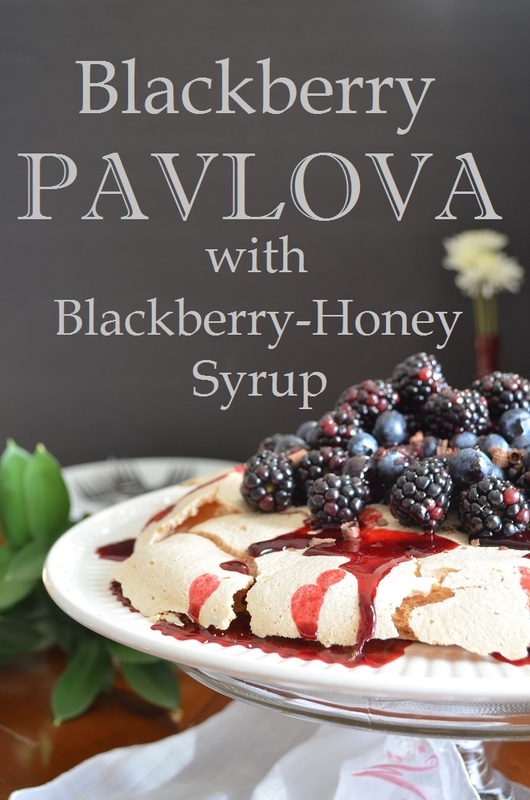 Drizzle the cooled syrup over the top and down the sides of the Pavlova. Garnish with dark chocolate curls and with a dusting of confectioner's sugar, if desired.